I have three cards of Pedro Borbon. This one is from 1978 Topps. 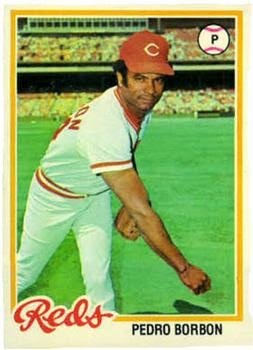 Playing career: Pedro Borbon was a key member of the bullpen of the Big Red Machine. 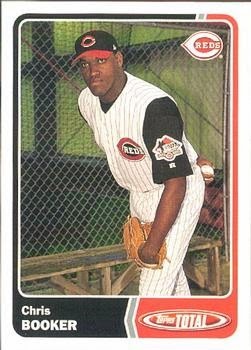 A member of the Reds for twelve of his fourteen MLB seasons, Borbon went 69-39 with 80 saves and a 3.52 ERA in 593 games. He was excellent in the postseason, going 1-1 with 3 saves and a 2.42 ERA in 20 games. Post-playing career: Borbon stayed active in baseball as a coach for a number of years. He died of cancer in 2012. Interesting facts: His son, Pedro Borbon Jr., also pitched in the major leagues. Google Autocomplete results: He is fifth when you type Pedro B, between Pedro Barros, a skater, and Pedro Brieger, a sociology professor at the University of Buenos Aires. There do not appear to be any other prominent Pedro Borbons. Coming up next: The next profile will be Pedro Borbon Jr. I have two cards of Josh Booty. This one is from 1998 Upper Deck. 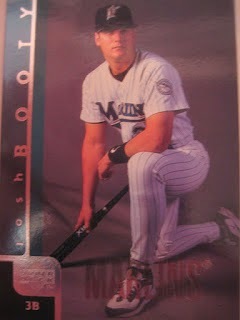 Playing career: Third baseman Josh Booty played five years of professional baseball, including three in the majors with the Florida Marlins, winning a World Series ring in 1997. In 13 major league games he hit .269 with 0 HR and 4 RBI. A two-sport star in college, he also played briefly in the NFL. He attempted a comeback as a knuckleball pitcher for the Diamondbacks in 2013 after winning the reality show competition “The Knuckler,” but was released at the end of spring training. Where he is now: A Director for Oxygenade, a bottled-water company. 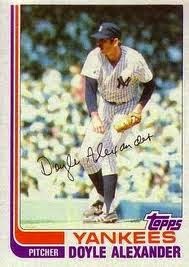 My memories: He shared his thoughts on baseball cards with this blog in 2012. Google Autocomplete results: He is sixth when you type Josh Bo, between Josh Boyce, a wide receiver for the Patriots, and Josh Bonati, an audio master in New York. There do not appear to be any other prominent Josh Bootys. Coming up next: The next profile will be Pedro Borbon. I have one card of Chris Bootcheck, from 2006 Upper Deck. Playing career: Chris Bootcheck pitched in 91 major league games for the Angels, Pirates and Yankees from 2003 to 2013. He went 3-7 with a 6.57 ERA. Where he is now: In the Phillies organization in 2014, he split the season between AA and AAA, going 4-8 with a 5.17 ERA in sixteen starts. My memories: He was one of many players with brief appearances for the Yankees last year, but his may have been the shortest – one inning. Google Autocomplete results: He is fourth when you type Chris Boo, between Chris Boomer, referring to sportscaster Chris “Boomer” Berman, and Chris Boothe, CEO of Spark. There do not appear to be any other prominent Chris Bootchecks. Coming up next: The next profile will be Josh Booty. I have one card of Kevin Bootay, from 1990 ProCards. 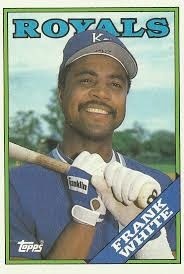 Playing career: Outfielder Kevin Bootay played in the Rangers and Phillies organizations from 1984 to 1989. In 503 games he hit .255 with 12 HR, 161 RBI and 172 SB. Where he is now: A scout for the White Sox. Google Autocomplete results: He does not appear in Google Autocomplete. There do not appear to be any other prominent Kevin Bootays. Coming up next: The next profile will be Chris Bootcheck. I have four cards of Danny Boone. This one is from 1982 Donruss. 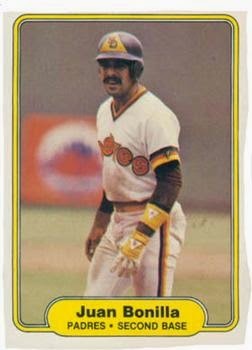 Playing career: Danny Boone was a 27-year-old rookie who had a good season for the Padres in 1981, going 1-0 with 2 saves and a 2.84 ERA in 37 games. 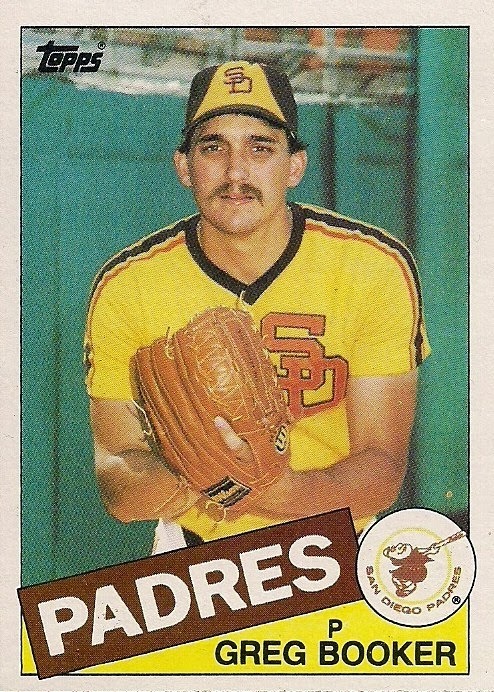 He struggled in 1982 for the Padres and Astros, and was quickly out of baseball. Later in the 1980s, he started experimenting with a knuckleball in the MSBL and Senior League, and was proficient enough to make a comeback with the Orioles. In 1990 he pitched in four games for the Orioles, eight years after his previous major league appearance. A fuller account of his career can be found at The Greatest 21 Days. Interesting facts: A 1990 article notes “that his birth certificate actually says ‘Danny’ Boone on it, but both his baseball card and the baseball encyclopedia list him as Daniel Boone.” More recently, Baseball Reference has his name similarly wrong. Boone is a direct descendant of Benjamin Boone, brother of famous pioneer Daniel Boone. Former MLB catcher Bob Boone has stated that his family are also direct relations of Daniel Boone, meaning that Danny is at least distantly related to the famous baseball family. 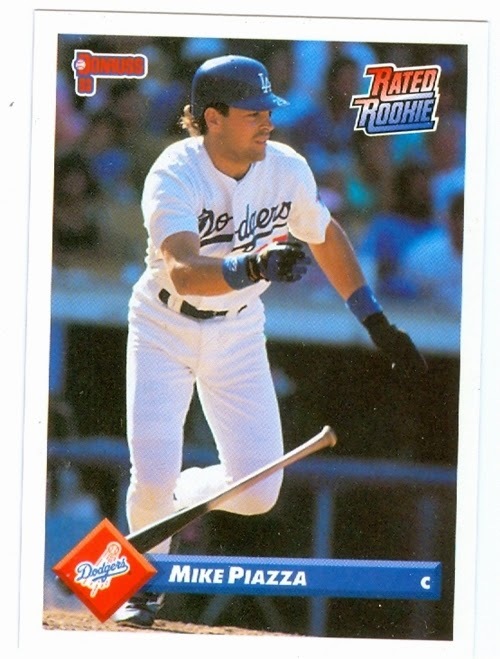 My memories: I remember seeing his 1990 Score baseball card and being impressed by this guy who came out of nowhere to return to the major leagues, and with a cool family history to boot. Where he is now: Anyone know where Danny Boone is now? Google Autocomplete results: He is second when you type Danny Boo, between Danny Boome, a TV chef, and Danny Boone Fish Grease, referring to a singer and his song. Most of the entries on the first page of Google results are for the singer. Coming up next: The next profile will be Kevin Bootay. I sent a few 1981 Donruss cards to Night Owl and he responded with a very generous package of cards. He sent a bunch of cards from 2010 and 2011 Topps, including this guy who is probably his favorite of the players he sent. He's supposed to be a pretty good pitcher, this guy Kershaw. There were a lot of older cards too, including some 1992 Donruss Triple Play. The trivia question on the back of Tim Teufel's card sure is a weird one, seemingly highlighting Donruss's lack of range. My favorite cards in the package, however, were a bunch from the 1989 Bakersfield Dodgers. I love that their cap is basically the same as a Brooklyn Dodgers cap. I have 82 cards of Bret Boone. This one is from 1992 Score Traded. Playing career: Part of baseball’s legendary Boone family, second baseman Bret Boone had a solid if unspectacular career for the Reds, Braves and Padres before signing with the Mariners as a free agent in 2001. In Seattle his power numbers took off, hitting .331 with 37 HR and a league-leading 141 RBI. He put up similar numbers in 2002 and 2003, but his production declined swiftly after that, and he retired after the 2005 season. Such a marked and brief increase in production late in his career led many, most prominently Jose Canseco in his book Juiced, accuse Boone of taking steroids, but these accusations have never been proven. Where he is now: He was a spring training instructor this year for the Oakland A’s. My memories: I remember him as one of the many out-of-nowhere power hitters in the early 00’s. Whether it was steroids, a juiced ball, or something else, there were a lot of random guys like Boone suddenly becoming stars. Google Autcomplete results: He is fourth when you type Bret B, between Bret Baier Special Report with Bret Baier, Television Program, a Fox News show, and Bret Bielema, head football coach at Arkansas. Another prominent Bret Boone is a realtor in Oklahoma. Coming up next: The next profile will be Danny Boone. I have 56 cards of Bob Boone. This one is from 1986 Topps. 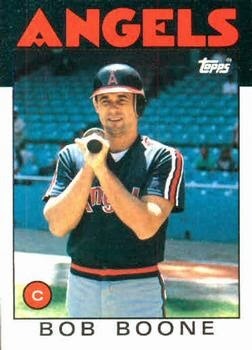 Playing career: Part of baseball’s legendary Boone family, Bob Boone caught for nineteen years in the major leagues for the Phillies, Angels and Royals. A seven-time Gold Glove winner, Boone hit .254 with 105 HR and 826 RBI in 2,264 games. He was a terrific post-season hitter, hitting .311 with 2 HR and 13 RBI in 36 games. In 1980, he helped the Phillies win the World Series by hitting .412. My memories: I remember him being considered the best defensive catcher in baseball in the 1980s, but no specific memories. Where he is now: He managed the Royals and Reds for three years each, with mediocre results. He is currently the Vice President, Player Personnel for the Washington Nationals. Google Autocomplete results: He sixth when you type Bob Bo, between Bob Bondurant, owner of a racing school, and Bob Bowman, a swimming coach. Another prominent Bob Boone is a distribution center manager for McKesson. Coming up next: The next profile will be Bret Boone. 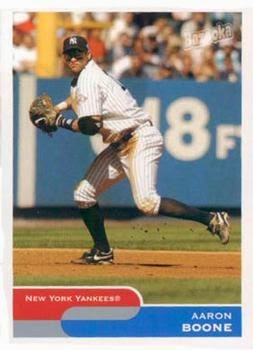 I have 37 cards of Aaron Boone. This one is from 2004 Bazooka. Playing career: Part of baseball’s legendary Boone family, Aaron Boone was a decent third baseman for the Reds in the late 90s and early00s. He was traded for the Yankees in 2003 and did not do particlarly well, hitting .254 with 6 HR and 31 RBI in 54 games. He was even worse in the postseason, hitting .170 with 2 HR and 4 RBI in 17 games. That makes that one swing of the bat in Game 7 of the ALCS against Boston all the more unbelievable! Of course, after the 2003 season Boone hurt himself playing basketball, leading to the Yankees’ trading for A-Rod. Boone himself would come back, bouncing around Cleveland, Florida and Washington, and ended his career with a hitless ten-game appearance for the Astros in 2009 following open-heart surgery. My memories: I was feeling pretty pessimistic about Game 7 and couldn’t bear to watch, and was instead listening to the radio in my bed when Boone hit that walk-off. Where he is now: An announcer for ESPN. Google Autocomplete results: He is second when you type Aaron B, between Aaron Burr, the former Vice President, and Aaron Brothers, an art supplies chain. Another prominent Aaron Boone was a wide reciever in the Arena Football League. Coming up next: The next profile will be Bob Boone. I have seven cards of Rod Booker. This one is from 1987 Fleer Update. 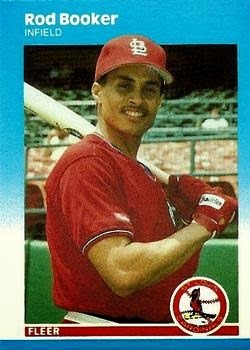 Playing career: Infielder Rod Booker played for the Cardinals and Phillies from 1987 to 1991. In 173 games he hit .248 with 0 HR and 28 RBI. Where he is now: A business technology and strategy consultant and youth baseball coach in Virginia. Google Autocomplete results: He is second when you type Rod Boo, between Rod Boone, a basketball writer for Newsday, and Rod Boothby, COO of NPM. Another prominent Rod Booker is a basketball player at Georgia Perimeter College. Coming up next: The next profile will be Aaron Boone. I have thirteen cards of Greg Booker. 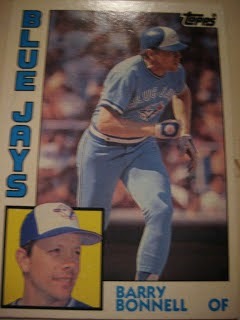 This one is from 1985 Topps. Playing career: Greg Booker pitched eight years in the major leagues, almost entirely with the Padres. In 161 games he went 5-7 with a 3.89 ERA. 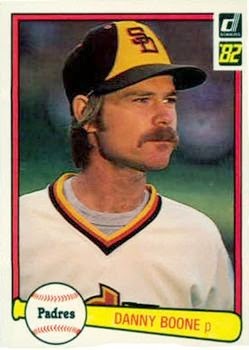 His best season was 1984, when he was a key part of the bullpen for the NL pennant winners, going 1-1 with a 3.30 ERA in 32 games. A fuller account of his career can be found at the Greatest 21 Days and the 1985 Topps blogs. One of Booker’s sons, Zach, played five seasons in the minor leagues. Another son, Avery, has sold some of his father’s memorabilia on the “Game Used Universe” forum. Where he is now: A scout for the Dodgers. Google Autocomplete results: He is sixth when you type Greg Boo, between Greg Boozer, President of Gibbs Diversified, and Greg Boosin, a brand manager at MasterCard. Another prominent Greg Booker is CIO at RACQ. Coming up next: The next profile will be Rod Booker. I have two cards of Eric Booker. This one is from 1991 Classic Best. 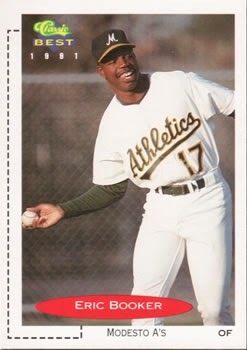 Playing career: Outfielder Eric Booker played in the A’s organization from 1990 to 1992. In 267 games he hit .273 with 15 HR and 150 RBI. A fuller account of his career can be found at The Greatest 21 Days. Where he is now: Anyone know where Eric Booker is now? Google Autocomplete results: He is second when you type Eric Boo, between Eric Booth, an art teacher, and Eric Boorstyn, Associate Commissioner at the NYC Department of Design and Construction. There are no mentions of the ballplayer on the first page of Google results; the first is for a competitive eater. Coming up next: The next profile will be Greg Booker. 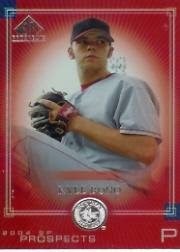 I have one card of Chris Booker, from 2003 Topps Total. Playing career: Chris Booker pitched for the Reds, Royals and Nationals from 2005 to 2007. In seventeen games he went 0-1 with a 14.29 ERA. Where he is now: Anyone know where Chris Booker is now? Google Autocomplete results: He is first when you type Chris Boo, ahead of Chris Boot, executive director of Aperture Foundation. The first entry when you google Chris Booker is not the ballplayer but a radio host. Coming up next: The next profile will be Eric Booker. So I have a two-week-old, a three-year-old, am moving at the end of the month (hopefully), then moving again within the next few months. Probably not the best time to buy 40,000 cards off a guy from Craigslist,, but at better than six cards for a penny, or less than $10 per 5,000 count box, I couldn't resist. And I am very happy with what I found, even if it will take many months to assimilate into my collection. Here is a box-by-box review of a collection that had surprisingly little junk wax, and a ton of mid-to-late nineties goodness. Mind you I haven't even looked at most of the cards yet, just browsed the boxes to see what's in them. For the most part the boxes are organized by set, making it fairly easy to see what sets are represented and in roughly what quantities. The first box I am showing was actually just a throw in. But it gives a good example of what sets were featured the most in this collection. There were several thousand 93 Upper Decks - hopefully I can finish this set, and I know it is popular among a lot of bloggers. Also very highly represented was 93 Pinnacle. Both of these sets appeared in just about every box. Other sets featured in this box are 95 Donruss, 95 Stadium Club, 95 Ultra. The bottom row is all football, mostly early 90s Pro Set and early 80s Topps. I don't "actively" collect football but I do hang on to the ones I get. This box is big on '93s and '94s. Got some 93 Triple Play, 93 Triple Play Action Baseball, 94 Score Rookie Traded, 96 Topps, 94 Score, 94 Collectors Choice, 94 Ultra, 94 Leaf Signature, 94 Bowmans Best, 94 Leaf, 94 Pinnacle, 94 Stadium Club, 94 Upper Deck. Cool to see some high-end brands here. These appear to be mostly 95s. I see 93 Select, 94 Fleer, 95? Metal, 95 Collectors Choice, something that looks like Sportflix but is actually Topps HD, 94 Studio, 95 Emotion, 95 Select, 95 Zenith, 95 Stadium Club, 93 Fleer, 93 Flair, and something called Donruss Signature. Here is some 93 Donruss, 96 Upper Deck, 95? Sportflix, a few other 93-95 era brands. Some high end stuff here like SP and Finest. Very cool to get bulk amounts of these. Lots of 95 staples like Score, Donruss, Stadium Club, UD, Select, and that Studio set that looks like credit cards. This was the first box I opened and was afraid this was what most of the boxes were like, but actually this was easily the worst box in the set. Lots of junk wax staples like 92 Donruss, 91 Score, 91 Upper Deck. But also some post-junk-wax sets, most notably 96 Score. 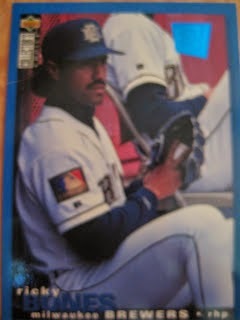 I saw at least three cards of the 96 Score Bip Roberts card where he is wearing a sombrero. Sorry this one is blurry but it is late and I am tired. This was the best box in the lot. Those oversized cards on the right are 98 Topps Super Chrome. There is a box of 87 Fleer Update that looks a bit picked over (it seems to be missing the Maddux) but it has the checklist card which I am pretty sure is the only one I needed in the set. This box had the most variety, most high end sets, and most recent cards. One more box. This one had a fair amount of basketball and hockey. Unlike football I don't collect those sports at all, so anything from those sports is up for trade. Some good baseball stuff here though like Finest, Topps Gallery and Summit. A lot like this is supposed to have crap like 88 Donruss, but instead has a chunk of cards from 88 Donruss Baseball's Best, which I rarely see. Finally, in the front right of the box are some pocket schedules for the 2014 Brooklyn Cyclones. They are not interesting to me but maybe someone out there wants them. 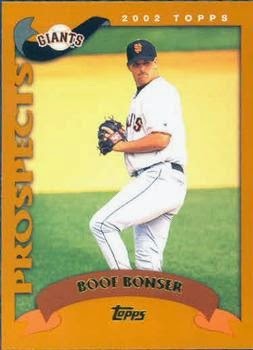 I have eight cards of Boof Bonser. This one is from 2002 Topps. Playing career: Boof Bonser pitched for the Twins, Red Sox and A’s from 2006 to 2010. In 111 games he went 19-25 with a 5.18 ERA. Where he is now: He started the season in Taiwan, pitching for the 7-Eleven Lions, but recently returned to the US to pitch for the Atlantic League’s Bridgeport Bluefish. Interesting facts: He was born John Bonser, but was known as Boof since he was a baby. He later legally changed his name to Boof. My memories: I remember him because of his unusual name, but nothing really specific. Google Autocomplete results: He is third when you type Boof, between Boof, a slang word for dumb or messed up, and Boofle, an online-gaming company. There do not appear to be any other prominent Boof Bonsers. Coming up next: The next profile will be Chris Booker. I have two cards of Kyle Bono. This one is from 2004 SP Prospects. Playing career: Kyle Bono pitched in the Red Sox and Diamondbacks organizations from 2004 to 2006. In 37 games he went 3-3 with a 4.63 ERA. Where he is now: Owner of Landscapes of Florida and Director of Player Development for the Central Florida Suns, a youth baseball program. Google Autocomplete results: He is first when you type Kyle Bono, ahead of Kyle Bono Kaplan, a photographer. Another prominent Kyle Bono is a 97E Interrogator for the US Army. Coming up next: The next profile will be Boof Bonser. I have two cards of Jim Bonnici. This one is from 1997 Topps. 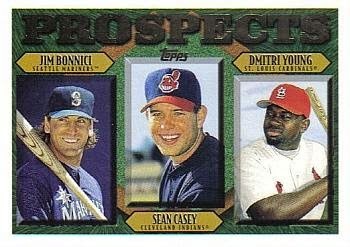 Playing career: First baseman Jim Bonnici was drafted in the 58th round of the 1990 draft by the Mariners and slowly worked his way through the system, putting up solid numbers but not looking like a real prospect. In spring of 1995 he decided to report to spring training as a replacement player. That year, in his first season at AA, he suddenly discovered how to hit for power, hitting .283 with 20 HR and 91 RBI. He put up even better numbers in 1996 at AAA Tacoma, hitting .292 with 26 HR and 74 RBI. 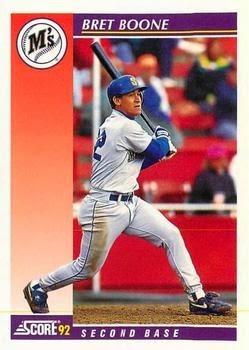 However, due to the Mariner players’ dislike of the former replacement player, Seattle refused to call him up to the majors, and instead he went to Japan for two years before coming back to the US for a brief time in 1999 in the Tigers system. Where he is now: A scout for the Rays. Google Autocomplete results: He is ninth when you type Jim Bonn, between Jim Bonnette Advisory Board and Jim Bonnette Oliver Wyman, both of which refer to a consultant. Another prominent Jim Bonnici is a photographer. Coming up next: The next profile will be Kyle Bono. I have one card of Jeff Bonner, from 1991 Classic Best. 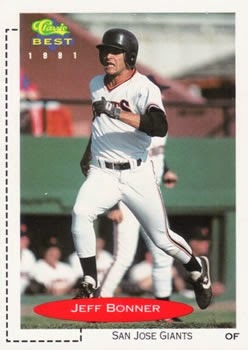 Playing career: Outfielder Jeff Bonner played in the Giants organization from 1989 to 1991. In 278 games he hit .224 with 1 HR, 73 RBI and 43 SB. Where he is now: Anyone know where Jeff Bonner is now? Google Autocomplete results: He is seventh when you type Jeff Bon, between Jeff Bonna, founder of Jacklight Productions, and Jeff Bonnett Street Outlaws, a reality show star. There are no references to the ballplayer on the first page of Google results; the first entry is for the owner of a luxury aircraft furnishings company. Coming up next: The next profile will be Jeff Bonnici. I have three cards of Bobby Bonner. This one is from 1982 Topps. 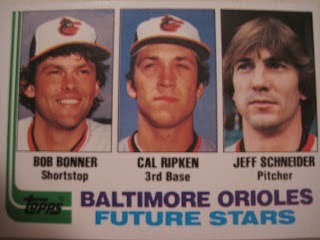 Playing career: Shortstop Bobby Bonner played for the Orioles from 1980 to 1983. In 61 games he hit .194 with 0 HR and 8 RBI. Where he is now: After his playing career he became a missionary, living in the African country of Zambia. He recently moved back to the US and runs International African Missions. My memories: In 2009 he shared his favorite baseball card (guess which one!) with this blog. Google Autocomplete results: He is first when you type Bobby Bonn, ahead of Bobby Bonilla, the former Mets outfielder. Another prominent Bobby Bonner is a Senior Buyer at Partsmaster. Coming up next: The next profile will be Jeff Bonner. The son of former major leaguer Mike Compton, outfielder Scott Compton played in the Dodgers organization in 1993. He is now a patent attorney who is Of Counsel at Buche & Associates in San Diego. He is assisted many baseball inventors with their patents, including former Royals pitcher Steve Stemle's Lokator System and former minor leaguer Cesar Mejia's MP Balancer. He kindly answered my questions about baseball cards. "My favorite card is my father’s 1971 Topps card #77 – the card photo was taken at Shea Stadium sometime in the summer of 1970. I don’t really have any stories about my own cards other than I remember the photographer being a distant cousin of people I knew back in my home town of Odessa, Texas. I have two cards that I am aware of, one card photograph was taken in Yakima, Washington and the other card photograph was taken in Spokane, Washington when on the road playing the Spokane Indians. I have collected cards off and on my entire life. I have collected cards of certain players (typically those of dad’s teammates and family friends down through the years) and I have also slowly been putting together various sets when I get the chance to visit card shows. 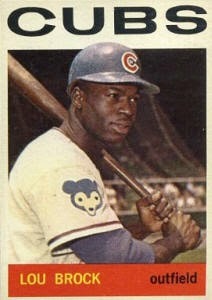 I collect Topps 1964 cards based on my having first seen the 1964 Lou Brock card, which I like. I also like the appearance of 1967 Topps cards. My earliest recollection of baseball cards is 1973 Topps cards. My father was still playing at that time and he would bring home the cards from the ballpark. As he explains, there were boxes of cards in the clubhouse and the players would open the packs to get the bubble gum and then throw the cards in the trash or on top of their wire mesh lockers. I don’t focus on collecting cards at this time. I focus more on taking photos of ball players. My father still works for the Phillies and I usually go to spring training and walk around on the fields at Carpenter Complex, Clearwater, FL and take my own photos. 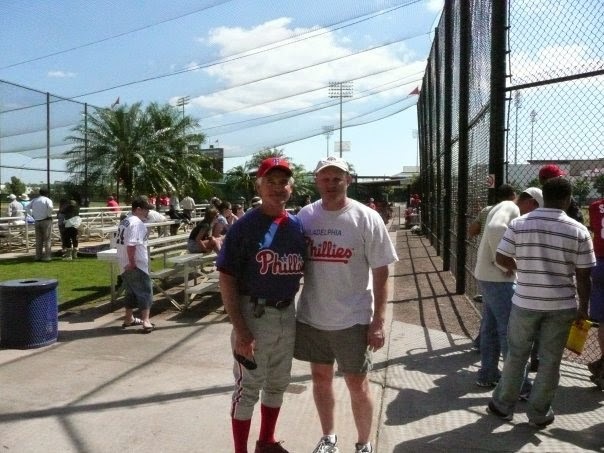 A photo of me and father from a few years ago at spring training is attached here. " I have 20 cards of Barry Bonnell. This one is from 1984 Topps. Playing career: Outfielder Barry Bonnell played for the Braves, Blue Jays and Mariners from 1977 to 1986. In 976 games he hit .272 with 56 HR and 355 RBI. Where he is now: After his playing career Bonnell has worked as an airplane pilot as well as careers in the medical and imports industries. He is now a full-time writer who has written a memoir and a baseball how-to book as well as several science fiction short stories. He also works closely with former Mariners teammate Roy Thomas in the latter’s Roy’s Boys Pet Toys venture. Bonnell and Thomas co-hold a patent for a pet-triggered programmable toy. 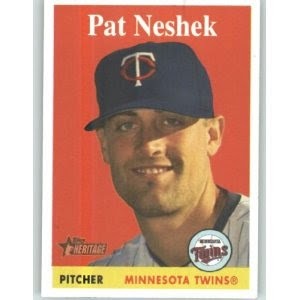 My memories: In 2009 he shared a great baseball card-related story with this blog. Google Autocomplete results: He is first when you type Barry Bonn, ahead of Barry Bonner, Chief of Police for Sterlington, LA. There do not appear to be any other prominent Barry Bonnells. Coming up next: The next profile will be Bobby Bonner. I have twelve cards of Juan Bonilla. This one is from 1982 Fleer. Playing career: Second baseman Juan Bonilla played for the Padres, Yankees and Orioles from 1981 to 1987. In 429 games he hit .256 with 7 HR and 101 RBI. Where he is now: Anyone know where Juan Bonilla is now? Google Autocomplete results: He is first when you type Juan Bon, ahead of Juan Bonifacino, a biochemist. Another prominent Juan Bonilla is Group Account Director at GlobalHue. Coming up next: The next profile will be Barry Bonnell. I have 123 cards of Bobby Bonilla. This one is from 1990 Donruss MVP. Playing career: OF-3B Bobby Bonilla was one of the biggest free-agent busts in history. The Mets signed him to a huge contract after the 1991 season, in which he hit .302 with 18 HR and 100 RBI for the Pirates. In 1992, his first year for the Mets, Bobby Bo hit just .249 with 19 HR and 70 RBI. Looking back now, you can see that he was probably a prime candidate for a free-agent bust. 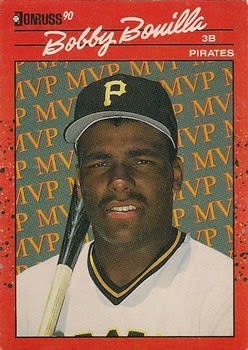 Other than high RBI numbers coming from hitting in the great Pirates’ line-up of the early 90s, Bonilla’s batting numbers were actually rather pedestrian – in fact, he only reached .900 OPS one time in his career, and that was in 1995, the year the Mets gave up on Bobby and traded him to the Orioles. Now, when there is a greater understanding of how misleading RBI numbers are, the Mets would probably not make that kind of mistake. No, never mind, they are the Mets, of course they would! My memories: He actually beat the Mets with an extra-inning home run while with the Pirates in a game at Shea Stadium I went to in 1989. I also remember him as a big free agent bust for the Mets, a problem both on the field and off it. I remember him wearing ear plugs on the field so he wouldn’t hear the boos. I had a social studies teacher in high school who was a big Mets fan and he had a big photo of Bonilla cut out of a newspaper that he had on the wall. Interesting facts: Bonilla returned to the Mets in 1999, but the team wanted to release him after the season. However, they would owe him $5.9 million. Rather than pay him the $5.9 million in a lump sum, they decided to pay him $1.2 million a year for twenty-five years beginning in 2011, with the idea that they could invest the $5.9 million and actually make more off of the deal. Of course, the Mets’ investment advisor was Bernard Madoff, so, in typical Mets fashion, they are paying one of their worst players of the 20th century for decades in the 21st century, and all at a loss. Where he is now: Special Assistant, Player Services at the MLB Players Association. Google Autocomplete results: He is third when you type Bobby B, between Bobby Bones, a Nashville radio host, and Bobby Bonds, the former baseball star. There do not appear to be any other prominent Bobby Bonillas. Coming up next: The next profile will be Juan Bonilla. I have one card of Josh Bonifay, from 2000 Just. 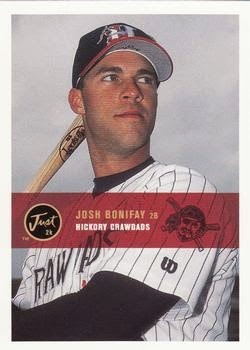 Playing career: 2B-OF Josh Bonifay was the Pirates’ 24th round draft pick in 1999, primaily because his father Cam was Pittsburgh’s general manager. Josh actually put up some good numbers in the low minor leagues, most notably hitting .307 with 26 HR and 102 RBI at Class-A Lynchburg in 2002. He went on to play four more years at AA and put up decent numbers, but not enough for him ever to get the call to AAA. In 812 minor league games, he hit .284 with 133 HR and 516 RBI. Where he is now: Manages the minor league Greeneville Astros. Google Autocomplete results: He is seventh when you type Josh Bon, between Josh Bond, an associate of Whitey Bulger, and Josh Bonzie, an actor. There do not appear to be any other prominent Josh Bonifays. Coming up next: The next profile will be Bobby Bonilla. I have five cards of Emilio Bonifacio. This one is from 2008 Topps. 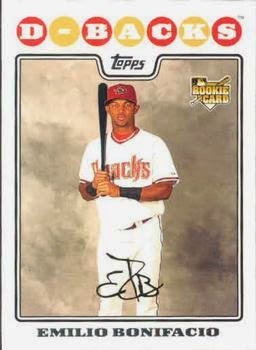 Playing career: Second baseman Emilio Bonifacio has came up with the Diamondbacks in 2007 and has since played for the Nationals, Marlins, Royals, Cubs and Braves. He has put up respectable but not eye-popping numbers for second-divison teams, so has been kind of an anonyomous player for the most part. In 705 career games he is hitting .264 with 12 HR, 151 RBI and 158 SB. Where he is now: He was traded from the Cubs to the Braves in a deadline deal. His combined stats currently are, in 93 games this season, .275 with 2 HR, 20 RBI and 20 SB. He last played yesterday, going 0-1 with a run scored in a loss to the Marlins. Google Autocomplete results: He is seventh when you type Emili, between Emilio Pucci, a fashion designer, and Emilios, a pizzeria in Commack, NY. There do not appear to be any other prominent Emilio Bonifacios. Coming up next: The next profile will be Josh Bonifay. I have six cards of Bill Bonham. This one is from 1978 Topps. 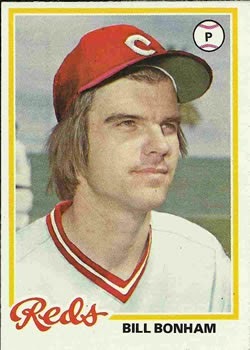 Playing career: Bill Bonham pitched for the Cubs and Reds from 1971 to 1980. In 300 games (214 starts) he went 75-83 with a 4.01 ERA. A prototypical member of the bad Cubs teams of the 1970s, Bonham led the NL with 22 losses in 1974 and 120 earned runs allowed in 1975. Where he is now: Anyone know where Bill Bonham is now? Google Autocomplete results: He is first when you type Bill Bonh, ahead of Bill Bonin Serial Killer, referring to Los Angeles’s “Freeway Killer”. Another prominent Bill Bonham is a musician. Coming up next: The next profile will be Emilio Bonifacio. I don't normally do personal stuff on this blog but I just had to mention that my son was born today (actually yesterday now). Like his big sister, the Yankees won the day he was born. Like his daddy, they beat the Red Sox at Yankee Stadium the day he was born! Posts might be a little more sporadic for a while, especially as we are also moving later in the month. I have a lot of player profiles already written but didn't have time to take pictures of the cards, so expect internet scans instead for a little while. I have four cards of Jung Bong. This one is from 2004 Topps. Playing career: Jung Bong pitched for the Braves and Reds from 2002 to 2004. In 48 games he went 7-4 with a save and a 5.17 ERA. Where he is now: He has returned to his native Korea and has been pitching for the LG Twins since 2007. This season he is 1-4 with 28 saves and a 3.16 ERA. Interesting facts: He was featured on the infamous “Bong Puffer” card in 2003 Topps. Both players on the card have been arrested for violence against women. Brandon Puffer’s sexual assault conviction is well known, but Bong was arrested for choking his wife in a 2005 incident. Google Autocomplete results: He is sixth when you type Jung B, between Jung Briggs Myers Personality Test, referring to a psychological test, and Jung Blow, referring to a character in a movie. Another prominent Jung Bong is a cinema professor at NYU. Coming up next: The next profile will be Bill Bonham. I have 39 cards of Ricky Bones. This one is from 1995 Collectors Choice SE. Playing career: Ricky Bones (pronounced Bonus) pitched eleven seasons in the major leagues, five of them for the Brewers, by far the most of any of the seven teams he pitched for. His best season by far was 1994, when he was an AL All-Star, going 10-9 with a 3.43 ERA. Overall, he was 63-82 with a 4.85 ERA. My memories: In 1996 the Yankees got Pat Listach and Graeme Lloyd in a trade with the Brewers. It turned out that Listach was hurt so the Brewers threw in Bones too. I remembered him as being a good pitcher so was excited for the Yankees to get him, but even by that time it was pretty clear he had little left. I hadn’t realized he actually stuck around for five more years for various teams. Where he is now: Bullpen coach for the Mets. Interesting facts: He is married to former Yankee Ricky Ledee’s cousin. He was mentioned in the Mitchell report due to taking steroids for a degenerative hip condition. Google Autocomplete results: He is first when you type Ricky Bon, ahead of Ricky Bobby, a movie character. Another prominent Ricky Bones is an mma fighter (real name Ricky Bonnet). Coming up next: The next profile will be Jung Bong. Outfielder Darren Blakely played eight seasons in the Angels, Yankees, Padres and White Sox organizations. In 904 games he hit .247 with 115 HR and 456 RBI. He kindly answered my questions about baseball cards. "I really don't have a good story to tell about the cards other than I've always enjoyed signing for the fans. I was a player who really appreciated the fans because I was in their seats at one time. I think out of all my cards I've had taken...I might be missing two. I wanted to keep one of each to show my son and give him guidance for whatever he wants to do. 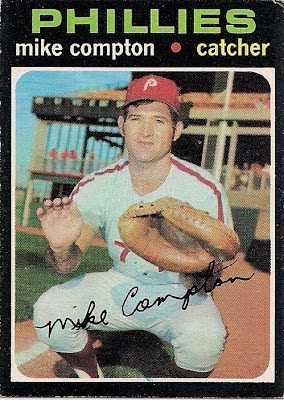 I used to collect cards growing up but wasn't living in a good area and they were vandalized."